See my Trip #6 report from 2017. There is pretty much one road and is not hard to stay on. 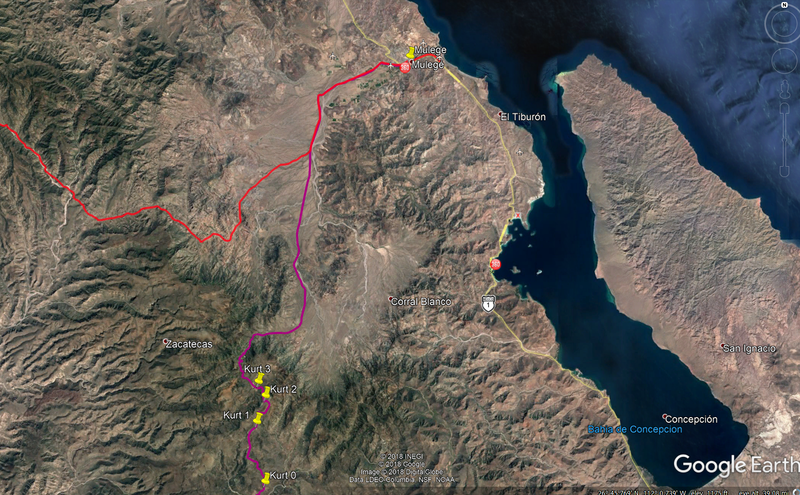 The only questionable choice was just west of Mulegé but the two choices going the general direction desired came back together soon. Just north of the sign for the mission site, you take the east fork, uphill. Just ahead is Rancho La Presa and the end of that road. 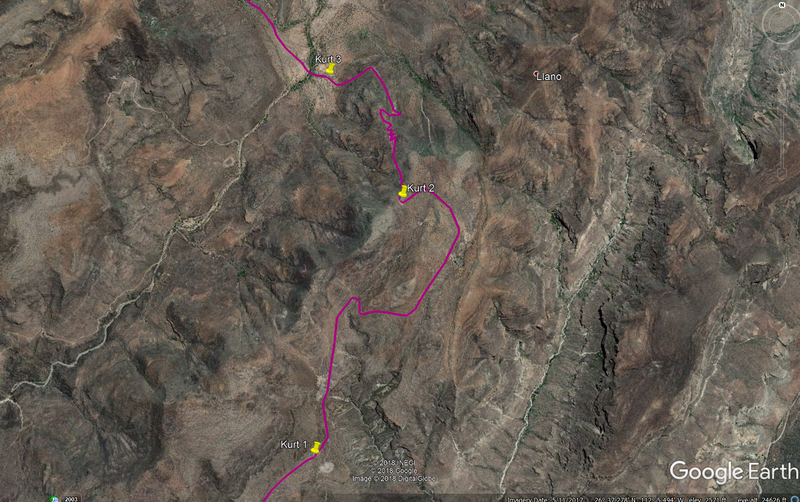 Just go to Google Earth and note gps points you may want. Just traced it out on GE. Still need to figure out the exact coordinates of the mission ruins. Mission Guadalupe ruins is at 26-55.16x112-24.34. David K's Land of Missions book page 215. Add a 0 at the end if necessary. In my trip report #6, I provide even better GPS for the mission church West Wall. The mission is all over the hillside, north and west of the modern cinder block building at the end of the driveway which is beyond a closed gate. Went through Kurt's log in detail. 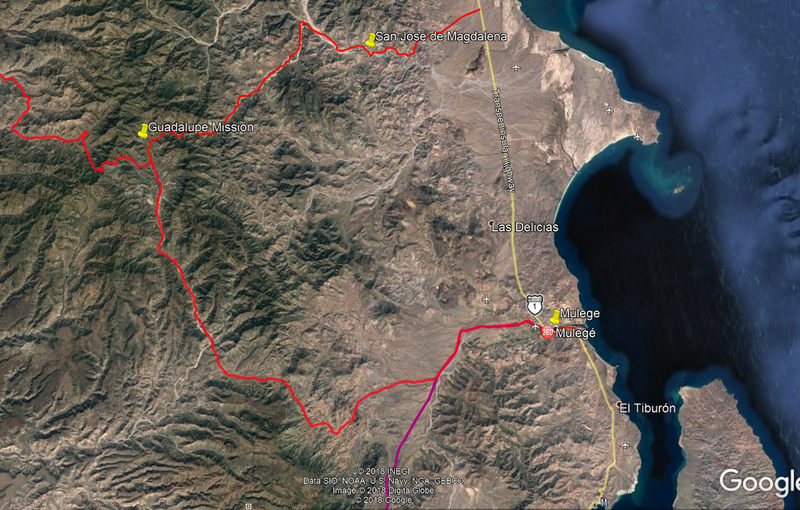 Looks like the most difficult spot is a 1.5mi stretch between 2 and 3, starting ~25 miles from Mulege. Think we'll give it a go, send the bikes up first to check out that section once we get close. Remember, that trip log was from 6 years ago. Got it. Imagine it is pretty spectacular at the top and through the switch backs? Got it. Imagine is pretty spectacular at the top and through the switch backs? Yes, especially the view I mentioned at mile 37. I am unable to find your trip report for the October 6th trip... can you help? Next trip to Baja we are finally gonna make a run at this.